Step Up Ring 46-49mm. 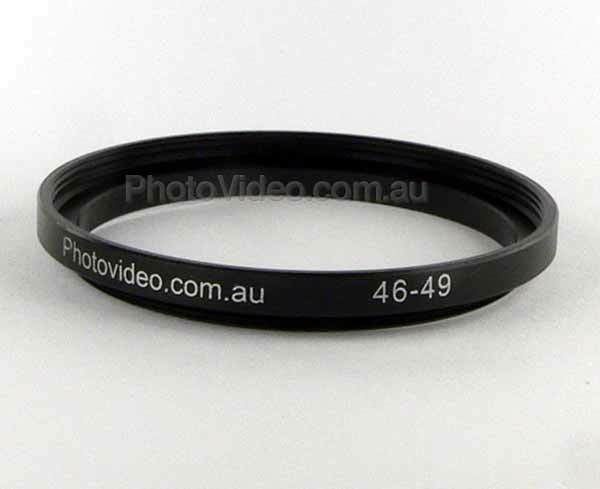 Allows the use of 49mm filters and accessories on a lens with 46mm filter threads. Please note that step rings may vary in country of origin and style between batches, image shown is indicative only. The first size indicates the male thread at the camera end - the second size indicates the female thread. If the filter you want to attach is a bigger diameter than the threads on your lens then you need a Step Up ring, if the filter you want to attach is smaller than the lens you want to attach it to then you need a Step Down ring.